In its monthly package of infringement decisions, the European Commission is pursuing legal actions against Member States for failing to comply properly with their obligations under EU law. These decisions covering many sectors and policy areas aim to ensure proper application of EU law for the benefit of citizens and businesses. The Commission has today taken 128 decisions of which the key ones are presented below and grouped by policy area (including 18 reasoned opinions, 5 referrals to the European Union's Court of Justice and 44 letters of formal notice). The Commission is also closing a certain number of cases where the issues with the Member States concerned have been solved without the Commission needing to pursue the procedure further. Below is a summary of the key decisions of the June package. For more information on the infringements procedure, see MEMO/12/12. For more details on all decisions taken today please consult the infringement decisions register. The European Commission has requested Sweden to comply with Regulation (EC) No 883/2004 (the "EU social security coordination rules") by classifying its Parental Allowance ('föräldrapenning') as a 'family benefit' rather than as a 'maternity and equivalent paternity benefit'. According to the EU social security coordination rules, as confirmed by the EU Court of Justice in relation to the Swedish föräldrapenning (case Kuusijärvi C-275/96), a parental allowance which is designed to replace income lost as a result of giving up work to care for a child should be considered as a family benefit. The intention of the EU social security coordination rules on family benefits is to ensure that benefits intended to meet family expenses are coordinated in a consistent manner between Member States. Sweden now has two months to notify the Commission of measures taken to remedy this situation. Otherwise, the Commission may decide to refer Sweden to the EU Court of Justice. The EU is committed to building an Energy Union with a forward-looking climate policy on the basis of the Commission's framework strategy. That strategy has five dimensions that are closely interrelated and mutually reinforcing: energy security, solidarity and trust; a fully integrated European energy market; energy efficiency contributing to moderation of demand; decarbonising the economy as well as research, innovation and competitiveness. The Commission will work hard to get the Energy Union hardware operational. Full implementation and strict enforcement of existing energy and related legislation is the first priority to establish the Energy Union. The European Commission is referring Greece to the EU Court of Justice for failing to transpose the Energy Efficiency Directive. Under this directive EU Member States must meet certain energy savings targets from 1 January 2014 to 31 December 2020. They must do this by using energy efficiency obligations schemes or other targeted policy measures to drive energy efficiency improvements in households, buildings, industry and transport. Member States were required to transpose the obligations of the Directive by 5 June 2014. In February 2015, the Commission sent a reasoned opinion to Greece asking the country to notify the Commission of all transposition measures for the Energy Efficiency Directive. Referring Greece to the Court, the Commission proposes a daily penalty of € 29145.60. The level of this penalty takes into account the duration and the seriousness of the infringement. In case the transposition remains incomplete and the Court confirms the Commission's view, the daily penalty would have to be paid from the date of the judgment or a later date set by the Court until the transposition is complete. The final amount of the daily penalty will be decided by the Court but cannot exceed the Commission's proposal. In addition, the European Commission has requested Germany to ensure the full transposition of the Energy Efficiency Directive. Germany has now two months to comply with this obligation, following that the Commission may decide to refer it to the EU Court of Justice and ask for financial penalties. Progress on transposing the Energy Efficiency Directive is currently being examined in all Member States. Overall, 27 Member States (all except Malta) have received a letter of formal notice for failing to fully transpose the Directive by the June 2014 deadline. So far, the Commission issued eight reasoned opinions to Member States where full transposition was still not achieved (Austria, Portugal, Bulgaria, Croatia, Ireland, Romania, Latvia and today, Germany) and has referred two Member States to Court (Hungary in March 2015 and, today, Greece). The Commission continues to monitor the progress in transposition and will address any shortcomings in future infringement cycles. A press release is available here. For more information please visit the Energy Efficiency Directive website. The European Commission is referring Romania to the EU Court of Justice for failing to adopt an emergency plan under the EU Security of Gas Supply Regulation (EU) No 994/2010. The regulation aims to ensure that Member States are well prepared to deal with possible supply disruptions. To this end, one of the measures Member States have to take is to prepare emergency plans and notify them to the European Commission. An emergency plan sets out measures and procedures that come into effect in case of gas supply disruption and which are well coordinated with neighbouring Member States. Member States had to adopt these plans already by 3 December 2012. In November 2013 the Commission sent a letter of formal notice to Romania as it had not adopted its national emergency plan. In November 2014 the Commission proceeded to a reasoned opinion since Romania did still not comply with the Security of Gas Supply Regulation. There is still no emergency plan and this may jeopardise Romania's ability to deal with a possible crisis situation. A press release is available here. For more please see EU Energy Security Strategy and Security of Gas Supply Regulation websites. The European Commission has requested Germany to ensure the full transposition of the Energy Efficiency Directive. Under this Directive Member States must achieve energy savings from 1 January 2014 to 31 December 2020. They have to do this by using Energy Efficiency Obligations Schemes and/or other targeted policy measures to drive energy efficiency improvements in households, industry and transport. The Directive had to be transposed into national law by 5 June 2014. Today the Commission sent a reasoned opinion to Germany requesting it to fully transpose the Directive into national law. 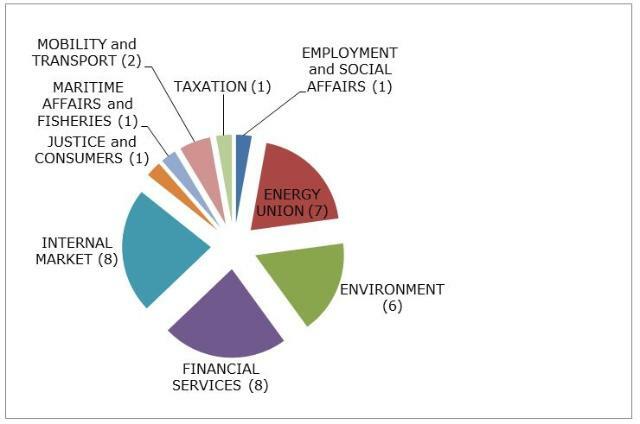 During the second semester of 2014, the Commission launched infringement procedures for non-transposition of the Energy Efficiency Directive against 27 EU Member States (all except Malta). So far, the Commission issued 7 reasoned opinions to Member States where full transposition was still not achieved (Austria, Portugal, Bulgaria, Croatia, Ireland, Romania and Latvia) and has referred two Member States to Court (Hungary in March 2015 and, today, Greece, see above under referrals). The Commission continues to monitor the implementation of the Directive and will address any shortcomings in future infringement cycles. Germany has now two months to comply with this obligation, following that the Commission may decide to refer it to the EU Court of Justice and ask for financial penalties. More information DG Energy’s website about the Energy Efficiency Directive. The European Commission has requested Austria to fully transpose the Energy Efficiency in Buildings Directive into national law. Under this Directive, Member States must establish and apply minimum energy performance requirements for new and existing buildings, ensure the certification of buildings' energy performance and require the regular inspection of heating and air conditioning systems. In addition, the Directive requires Member States to ensure that all new buildings are ‘zero-energy’ from 2021 onwards. The Directive had to be transposed by 9 July 2012. In July 2014 the Commission decided to refer Austria to the Court of Justice of the EU, see IP/14/813. Shortly afterwards Austria adopted a number of measures to transpose the Directive. However, it appears that a few of the Directive’s provisions have still not been transposed. The Commission has therefore sent today an additional reasoned opinion to Austria asking it to fully transpose the Directive. The additional reasoned opinion suspends the decision to refer Austria to Court. As no Member State had fully transposed this Directive by the deadline, the Commission opened infringement procedures against all 28 Member States. In 2014, the Commission decided to refer four Member States to the EU Court of Justice (Austria, Belgium, Finland and Poland; cases against Belgium and Finland withdrawn by now). Since then most Member States have now complied with their transposition obligations and the only infringements still open are against Austria, Italy, the Netherlands, the Czech Republic and Poland. Separately, the European Commission received a complaint regarding a potential lack of compliance by the United Kingdom for the issuing and display of Energy Performance Certificates in public buildings. The Energy Performance of Buildings Directive requires Member States to ensure that such certificates are issued and displayed for certain categories of buildings. The system of penalties and controls for the display of the energy performance certificates introduced by the United Kingdom, however, appears insufficient to ensure compliance with the obligations of the Directive. Therefore, today the Commission sent a reasoned opinion to the United Kingdom asking to fully ensure that energy performance certificates are displayed in accordance with the Buildings Directive. Austria and the United Kingdom have now two months to notify the Commission of measures taken to remedy this situation. Otherwise, the Commission may decide to refer these countries to the EU Court of Justice. More information about the Energy Performance of Buildings Directive is available on DG Energy’s website. The European Commission has requested Spain and the United Kingdom to take action to ensure full transposition of the EU legislation on oil stocks. The Oil Stocks Directive (2009/119/EC) requires that Member States maintain minimum stocks of crude oil and/or petroleum products equivalent to at least 90 days of average daily net imports or 61 days of average daily inland consumption, whichever of the two quantities is greater. The Directive had to be transposed into the national law by the Member States by 31 December 2012. Given the role of oil in the EU's energy mix, the EU's strong external dependence for supply of crude oil and petroleum products and the geopolitical uncertainty in many producer regions, it is vital to guarantee consumers' access to petroleum products. The Commission sent today a reasoned opinion to Spain and the United Kingdom which have only partially transposed the requirements of the Directive. Infringement procedures were opened in January 2013 against a number of Member States that had failed to comply with their transposition obligations. Most of these procedures have since been closed because the Member States fulfilled their transposition obligations, leaving only three procedures open today, for Latvia, Spain and the United Kingdom. Spain and the United Kingdom now have two months to notify the Commission of measures taken to remedy this situation. Otherwise, the Commission may decide to refer these countries to the EU Court of Justice. More information on DG Energy’s website about secure supply of oil. Today the European Commission is referring Belgium and Bulgaria to the EU Court of Justice over persistently high levels of the dust particles, which pose a major risk to public health. Despite an obligation for Member States to ensure good air quality for citizens, air quality has been a problem in many places for a number of years now. Studies show that every year poor air quality causes more deaths than road traffic accidents. Tiny particles known as PM10s, mostly resulting from human activities such as transport, industry and domestic heating cause respiratory problems, lung cancer and premature death. EU legislation has set limit values for PM10 (i.e. particulate matter of a diameter of less than 10 microns) since 2005. In case of exceedance of such limit values, Member States adopt air quality plans and ensure that such plans set appropriate measures so that the exceedance period can be kept as short as possible by adopting decisive and more forward-looking action. Measures are necessary to improve air quality, and by targeting the failures to act, the Commission hopes to ensure that Member States will take into decisive, problem-solving action. In Bulgaria, despite a number of measures taken and some reductions in PM10 emissions registered at most monitoring points since 2011, the data shows persisting non-compliance with the annual and/or daily limit values for PM10 in all the country's 6 zones and agglomerations other than in Varna, which complied with the annual limit value once – in 2009. Today's decision follows a reasoned opinion sent in July 2014. Belgium's track record on air quality has seen some improvements in the last years, as only 3 zones and agglomerations (Brussels, Ghent port zone and Roeselare port zone) show continued failures to meet the targets. The proposed summons of the case to the Court follows a reasoned opinion sent in February 2014, in a case first opened in 2008. Although measures have been adopted for all the air quality zones addressed in the Commission's action, the measures have not been so far sufficient to solve the problem, and as the deadline for compliance has long expired, the Commission is taking the case to the EU Court of Justice. The main limit values for which there are compliance problems in the EU are PM10, nitrogen dioxide (NO2) originating in traffic fumes and (to a much lesser extent) SO2. For SO2 only one Member State is in infringement, while for PM10 we have court cases against 16 Member States. For NO2, there are 6 procedures under way. The Commission also took action today against another Member State, Sweden, for poor air quality, sending a reasoned opinion. The latest figures show maximum daily limits for these particles being exceeded in two zones – Middle Sweden (agglomerations of Norrköping, Södertälje and Uppsala, except for 2012) and Stockholm agglomeration. Sweden has previously been condemned by the Court for not meeting PM10 limit values between 2005 and 2007. The Commission considers that Sweden has failed to take measures that should have been in place since 2005 and is asking it to take forward-looking, speedy and effective action to keep the period of non-compliance as short as possible. Today's reasoned opinion follows an additional letter of formal notice sent on 26 April 2013. If Sweden fails to act, the Commission may take the matter to the EU Court of Justice. More information in the press release. The European Commission has requested Sweden to bring wolf hunting into line with EU legislation. Wolves are strictly protected in Sweden, and their population has not reached a level that guarantees the conservation of the species ('favourable conservation status'), as aimed by the legislation. Hunting is only permitted under certain strict conditions. In the view of the Commission, by allowing a licensed hunt in 2010, 2011, 2013, 2014 and 2015, Sweden has established a systemic practice which infringes the Habitats Directive. In particular, Sweden is failing to meet its obligations because it is not considering other satisfactory alternatives and is not ensuring that the licensed hunts are undertaken under strictly supervised conditions, on a selective basis and to a limited extent. Sweden is also failing to demonstrate that hunting would not threaten the growth of the local wolf population to reach a 'favourable conservation status'. An additional reasoned opinion is therefore being sent. Sweden now has two months to notify the Commission of measures taken to remedy this situation. Otherwise, the Commission may decide to refer Sweden to the EU Court of Justice. The European Commission has requested Italy to ensure that waste disposal and management at old landfills is operating in line with EU legislation. The EU Landfill Directive puts in place standards for landfills to prevent adverse effects on human health, water, soil and air. According to the Directive, operations at landfill sites that were in operation in 2001 should have ceased by 16 July 2009 unless they complied with EU standards designed to ensure that they operate safely. The latest information available to the Commission shows that almost six years after the final deadline for closure, at least 50 landfill sites in Italy are still not compliant, and should have been either closed or brought up to the standards required. At least one of the landfills in question contains hazardous waste. An additional reasoned opinion is therefore being sent. Italy now has two months to notify the Commission of measures taken to remedy this situation. Otherwise, the Commission may decide to refer Italy to the EU Court of Justice. The European Commission has requested Hungary to ensure that an adequate level of protection is being observed in the management of red mud tailing ponds in Almásfüzítő, as required by European law. A close examination of current practices has revealed that some waste management activities in the area, aimed at rehabilitating the facility, have been carried out incorrectly, with consequences for the protection of human health and the environment. Contrary to EU waste law, hazardous waste has been mixed with other types of waste, and impact assessments required under the Habitats Directive have not been carried out. In reply to a letter of formal notice sent in November 2013, Hungary indicated that a review of practices in the area had been initiated, but the process is still not complete. As activities have continued at the site during the review, the Commission concludes that Hungary has not yet taken the necessary measures to resolve the breach. A reasoned opinion is therefore being sent. Hungary now has two months to notify the Commission of measures taken to remedy this situation. Otherwise, the Commission may decide to refer Hungary to the EU Court of Justice. The European Commission has requested France to change a provision in its insurance law which discriminates against insurance providers from other Member States. The Commission does not contest the objective of the rule in question, the aim of which is to protect, in some specific cases, policyholders when the insurer of a construction project fails. Under French law, construction companies are required to take out insurance against potential damage which would make the building unfit for use. However, companies must take out this insurance with insurers established in France, thus discriminating against insurers based in other EU countries. In the Commission's view, this constitutes a restriction on the freedom of establishment in the EU (articles 49 and 56 of the Treaty on the Functioning of the EU, TFUE). France was sent a letter of formal notice in July 2014. Today's request takes the form a reasoned opinion. France now has two months to notify the Commission of measures taken to remedy this situation. Otherwise, the Commission may decide to refer France to the EU Court of Justice. The European Commission has requested Hungary to take the necessary measures to comply with EU rules regarding certain contractual rights for the use of agricultural land (usufruct rights). In the Commission's view, the Hungarian legislation restricts the rights of cross-border investors in a way that may violate EU laws on free movement of capital and freedom of establishment. Neither is it in line with the right to property as enshrined in the EU Charter of Fundamental Rights. A Hungarian law that was passed on 1 May 2014 terminated some usufruct contracts held by foreign investors, shortening the transitional period for investors from 20 years to only four and a half months. Investors had expected to continue using the land on the basis of the earlier transitional period and had made their investment decisions accordingly. The new law therefore deprived the affected parties of their acquired rights and of the value of their investments. The Commission is also contesting a second provision of the same law, which allows land lease contracts that were concluded before July 1994 to be unilaterally terminated. Hungary was sent a letter of formal notice, the first step of an infringement procedure, in October 2014 (see IP/14/1152). Today's request takes the form of a reasoned opinion. Hungary now has two months to notify the Commission of measures taken to remedy this situation. Otherwise, the Commission may decide to refer Hungary to the EU Court of Justice. Luxembourg had to transpose EU Directive (2013/14/EU) on reducing overreliance on credit ratings into its national law and to communicate the transposition measures to the Commission. This Directive aims to reduce overreliance on credit ratings in the EU, while at the same time improving the quality of the rating process. Three sectors are concerned by these rules: institutions for occupational retirement provision (IORPS), investment and management companies regarding certain funds called UCITS (or Undertakings for the collective investment in transferable securities) and Alternative Investment Fund Managers (AIFMs). According to these rules, investors should not overly rely on credit ratings, or use them as the only parameter when assessing the risks related to investments made by IORPS, UCITS and Alternative Investment Funds (AIFs). The deadline for transposing the Directive into national law was 21 December 2014. Luxembourg failed to meet this deadline and was sent a letter of formal notice on 29 January 2015. Today's request takes the form of a reasoned opinion. Luxembourg now has two months to notify the Commission of measures taken to remedy this situation. Otherwise, the Commission may decide to refer Luxembourg to the EU Court of Justice and ask for financial sanctions (daily penalties). The European Commission has initiated infringement proceedings against five Member States today requesting them to terminate intra-EU bilateral investment treaties between them ("intra-EU BITs"). BITs are agreements establishing the terms and conditions for private investment by nationals and companies of one state in another one. Intra-EU BITs are agreements that exist between EU Member States. Many of these intra-EU BITs were agreed in the 1990s, before the EU enlargements of 2004, 2007 and 2013. They were mainly struck between existing members of the EU and those who would become the "EU 13". They were aimed at reassuring investors who wanted to invest in the future "EU 13" at a time when private investors - sometimes for historical political reasons – might have felt wary about investing in those countries. The BITs were thus aimed at strengthening investor protection, for example by means of compensation for expropriation and arbitration procedures for the settlement of investment disputes. Since enlargement, such 'extra' reassurances should not be necessary, as all Member States are subject to the same EU rules in the single market, including those on cross-border investments (in particular the freedom of establishment and the free movement of capital). All EU investors also benefit from the same protection thanks to EU rules (e.g. non-discrimination on grounds of nationality). By contrast, intra-EU BITs confer rights on a bilateral basis to investors from some Member States only: in accordance with consistent case law from the European Court of Justice, such discrimination based on nationality is incompatible with EU law. For all these reasons, the Commission has decided to request five Member States (Austria, the Netherlands, Romania, Slovakia and Sweden) to bring the intra-EU BITs between them to an end. The letters of formal notice, sent today, follow earlier exchanges with the Member States in question. This is not a new issue as the Commission has consistently and over a number of years pointed out to all Member States that intra-EU BITs are incompatible with EU law. However, since most Member States have taken no action, the Commission is now launching the first stage of infringement procedures against five Member States. At the same time, the Commission is requesting information from and initiating an administrative dialogue with the remaining 21 Member States who still have intra-EU BITs in place. It is worth noting that two Member States – Ireland and Italy – have already ended all their intra-EU BITs in 2012 and 2013 respectively. A press release is available here. As part of its effort to ensure that public procurement markets are transparent, efficient and professional, the European Commission has requested Spain to comply with EU rules on public procurement, in particular Directive 2004/18/EC. While procuring clothing, including uniforms, for the Army for an estimated value of € 190 million, the Ministry of Defence favoured certain companies by providing them with key information to prepare their tenders well before that information was published. Moreover, the Spanish Ministry adopted an internal administrative order allowing certain items, such as clothes, to be procured without the need to apply Directive 2004/18/EC. Following the Commission's request to Spain - in the form of a reasoned opinion - to comply with relevant EU rules, Spain now has two months to notify the Commission of measures taken to remedy this situation. Otherwise, the Commission may decide to refer Spain to the EU Court of Justice. The European Commission has requested Austria to bring its regional legislation on ski instructors in line with the freedom to provide services set out in Article 56 TFEU. Legislation in Tyrol prevents foreign ski instructors from accepting clients already present in Austria, thus limiting their right to provide services to clients they accompany from other countries. This restriction puts them at a disadvantage compared with Tyrolean ski instructors entitled to accept clients without restrictions. The Commission raised its concerns in a reasoned opinion in July 2014. Austria subsequently provided additional arguments on the necessity of this legislation to secure public security in high mountain areas. The Commission has assessed these arguments and concluded that the Tyrolean legislation is not justified since there are other possibilities under EU legislation on the recognition of professional qualifications to check specific safety related qualifications of migrant professionals without blocking access to a part of the market. The Tyrolean requirements are neither proportional nor necessary and they restrict the free provision of services in the EU. Therefore, in an additional reasoned opinion the Commission now requests Austria to change its legislation to comply with EU rules. The European Commission is launching infringement procedures against Austria, Cyprus, Germany, Malta, Poland and Spain on the grounds that their national rules include a number of excessive and unjustified obstacles in the area of professional services. The Commission considers that requirements imposed on certain service providers in these Member States run counter to the Services Directive. Elżbieta Bieńkowska, Commissioner for Internal Market, Industry, Entrepreneurship and SMEs, said: "Freedom to provide services is one of the foundations of the single market. There are still barriers in a number of Member States preventing companies and individuals from providing their services freely across the EU – be it restrictions on legal form and shareholding, professional qualification requirements, or fixed tariffs. Today I am not just waving a yellow card. I am sending a message of opportunity: a dynamic single market for professional services will lead to a more competitive European economy for the benefit of all of us." Following today's request, the Member States now have two months to respond to the arguments put forward by the Commission. A press release is available here. The Unfair Consumer Practices Directive aims to facilitate trade by creating a single set of rules for commercial practices in the EU Single Market on the basis of a high level of consumer protection. The European Commission has requested Poland to ensure correct implementation of the Directive on two issues. Firstly, under the Directive there is a list of elements on which traders must not mislead consumers. Poland has not transposed the full list into national law. Secondly, Polish law is too restrictive on how price reductions should be displayed. Current Polish rules require traders to indicate the crossed-out regular price next to the promotional price as well as the terms "sale", "reduced price" or "increased price" along with the reason(s) for the price reduction or increase. Such rules go beyond the harmonised provisions, and could hinder EU traders when selling their goods in Poland. Today's reasoned opinion forms part of a general transposition monitoring exercise on the Directive initiated in 2011.Poland now has two months to notify the Commission of measures taken to remedy this situation. Otherwise, the Commission may decide to refer Poland to the EU Court of Justice. The European Commission has requested Greece to comply with the obligation, under the Mediterranean Regulation, to adopt national management plans for fisheries conducted by boat seines within their territorial waters. Boat seines have surrounding nets, towed from the boat and may operate from the surface to the sea bottom depending on the target species. In view of the specific characteristics of many Mediterranean fisheries and as the quota-based fisheries management does not apply, the Regulation requires Member States to adopt national management plans combining management of the fishing effort with specific technical measures, to ensure sustainable exploitation of fish resources. National management plans should also ensure the effectiveness of the prohibition to fish with boat seines in protected habitats such as sea grass beds, Posidonia oceanica. The Commission is now sending a reasoned opinion to Greece for not having a valid management plan in place. Greece now has two months to notify the Commission of measures taken to remedy this situation. Otherwise, the Commission may decide to refer Greece to the EU Court of Justice. The European Commission has asked Ireland to take the necessary measures to ratify the Convention concerning International Carriage by Rail as amended by the Vilnius Protocol of 3 June 1999 (COTIF 1999). Ireland has not yet ratified COTIF 1999 which has been in force since 2006. This prevents the European Union from exercising the full number of votes of EU Member States when amending this international agreement and its appendices which concern essential parts of EU railway legislation, such as rail passenger rights, the transport of dangerous goods or rail interoperability and safety. The request has been sent in the form of a reasoned opinion. Ireland now has two months to notify the Commission of measures taken to remedy this situation. Otherwise, the Commission may decide to refer Ireland to the EU Court of Justice. The European Commission is launching an infringement procedure against Germany with regard to the law adopted on 8 June 2015 introducing a road charging scheme for cars. Member States have the obligation to comply with general EU Treaty principles on non-discrimination, freedom of movement of goods, freedom to provide services between Member States, and on granting equal conditions for carriers. According to the Commission assessment the deduction of the user charge from the annual car tax for vehicles registered in Germany amounts to an infringement of European law, in particular of Article 18 TFEU which prohibits any form of discrimination between EU citizens. This is because the effect of the new law will be that drivers from other Member States will be burdened more than German users. The Commission also considers that the price of short-term vignettes for certain vehicles, which would mostly be used by non-German motorists, is excessive compared to annual vignettes. Germany has two months to reply to the Commission. The letter of formal notice addressed to Germany is the first step of the infringement procedure. If, following submission of the observations by Germany, it is considered that the German law does not comply with EU principles the Commission will issue a reasoned opinion requesting Germany to take the necessary measures to comply with EU law. A press release is available here. The European Commission has decided to refer Belgium to the EU Court of Justice on account of its tax laws, which provide for different methods of assessing income from immovable property: income derived by a Belgian resident from property abroad is assessed at a rate higher than that applied to income from comparable property in Belgium. The result is that, under Belgian law, investment in certain properties located in Belgium is treated advantageously, whereas taxpayers who choose to invest in similar properties in other Member States of the EU or of the European Economic Area (EEA) are penalised. This difference in tax treatment infringes the principle of the free movement of capital, which is enshrined in Article 63 of the TFEU and Article 40 of the EEA Agreement. On 22 March 2012 the Commission sent Belgium a reasoned opinion (IP/12/282) calling upon it to amend its legislation. Since Belgium has not done so, the Commission has decided to refer the matter to the EU Court of Justice. Further information available in the press release.